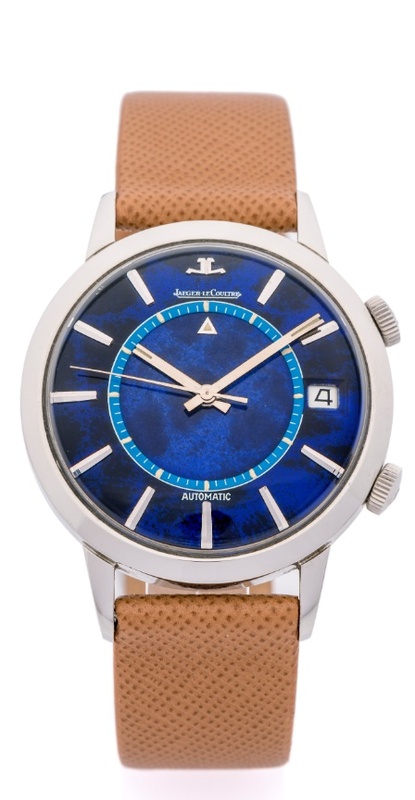 DIAL: Blue Lacquer "Lapis Lazuli" dial signed Jaeger LeCoultre. Lapis Lazuli central disc with luminous triangle. Hours and minutes silver baton hands. CONDITION REPORT: Dial and hands are mint (10/10) and in original condition. The case is slightly polished, but still thick and no major dings, dents or damage. The Portugese import stamp can still be seen between the crowns.